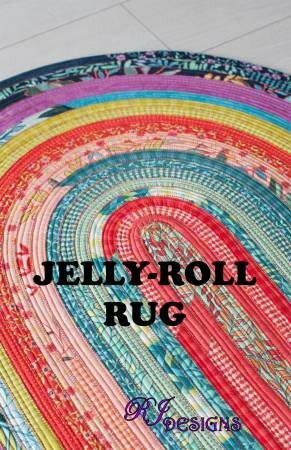 Wendy will show how to sew strips together, make the fabric tube and the correct zig-zag stitch to put your rug together. Approximately 30in x 44in area rug. Requirements: Sewing machine in good working order w/denim needle, pattern, Jelly Roll (42 - 2 1/2" strips), 2 - 25 yard packs or 1 - 50 pack Bosal batting stripes, spool(s) thread (at least 1,200 yards), pins or binder clips and basic sewing supplies.